WHEN DO DEFERRED AMOUNTS HAVE TO BE PAID? Deferred amounts must be repaid immediately upon the sale or transfer of the property, or within one year of the taxpayer’s death. If the property ceases to qualify for the program as defined by the statute, the deferred amount must be repaid within 90 days. The deferral may be continued by a surviving spouse who is at least 55 years of age within six months of the taxpayer’s death. HOW MUCH IN PROPERTY TAXES AND SPECIAL ASSESSMENTS CAN BE DEFERRED? The maximum amount that can be deferred, including interest and lien fees, is 80 percent of the taxpayer’s equity interest in the property. The maximum deferral each year is limited to $5,000.00. IS THE PROPERTY TAX BILL ACTUALLY PAID WHEN IT IS DUE? Yes. If a taxpayer meets the program qualifications, the County Treasurer sends a copy of the property tax bill to the Illinois Department of Revenue. The Department then sends the tax bill payment to the County Treasurer by June 1, or within 30 days of receipt of the tax bill, whichever is later. WHAT QUALIFICATIONS MUST BE MET TO PARTICIPATE IN THE PROGRAM? The taxpayer must be 65 years old by June 1 of the year that the application for deferral is being filed. Have a total annual household income of no more than $55,000.00. Have lived in the property or other qualifying property for at least the last three years. Own the property, or share joint ownership with a spouse, or be the sole beneficiaries of an Illinois land trust. Have no delinquent property taxes or special assessments on the property. Have adequate homeowners insurance against fire or casualty loss. Have written approval from the spouse, if filing jointly, or trustee if the property is held in a qualifying Illinois Land Trust, to participate in the program. Due to a change in Illinois law, if a taxpayer is applying for the Tax Deferral Program for the first time in 2013 or thereafter, and the property is being held in a trust, the trust must be an Illinois Land Trust with the deferral applicants being the sole beneficiaries of the trust. If the deferral applicant is single, the applicant must be the sole beneficiary of the trust in order for the trust to be considered a qualifying trust. The same is true for married applicants, although one spouse may be named as the first-tier beneficiary and the other spouse may be named as the second-tier beneficiary under the trust agreement. The application must be filed by the beneficiary of the trust who meets all eligibility requirements, and obtains the approval of the trustee to enter into the tax deferral and recovery agreement. The application must be filed by the beneficiary of the trust who meets all eligibility requirements and obtains the approval of the trustee to enter into the tax deferral and recovery agreement. WHAT TYPE OF PROPERTY IS CONSIDERED “QUALIFYING PROPERTY”? is not subject to a lien for unpaid property taxes and special assessments. dwelling unit in a multi-dwelling building that is owned and operated as a cooperative. Deferrals may continue even if the property is unoccupied because the taxpayer is temporarily residing, for not more than one year, in a nursing or sheltered care home. HOW DOES A TAXPAYER APPLY FOR THIS PROGRAM? The taxpayer must file all applications and forms with the County Treasurer. These forms are available at the County Treasurer’s office after January 1 and must be completed and returned by March 1 of each year. The County Treasurer approves or denies all applications. To apply for a property tax/special assessment deferral, the taxpayer must complete and file Form IL-1017, Application for Deferral of Real Estate/Special Assessment Taxes, and Form IL-1018, Real Estate/Special Assessment Tax Deferral and Recovery Agreement. evidence that the property is adequately insured against fire or casualty loss. the arrangements for repaying the deferred property taxes. CAN A TAXPAYER DEFER SUBSEQUENT BILLS FOR PROPERTY TAXES AND SPECIAL ASSESSMENTS? Yes. A taxpayer may apply at the County Treasurer’s office each year for a deferral of the property taxes and special assessments payable in that year. Applications are due no later than March 1 each year. CAN PAYMENTS BE MADE FOR PROPERTY TAXES AND SPECIAL ASSESSMENTS THAT ARE DEFERRED BEFORE THE PROPERTY IS SOLD OR THE PROPERTY OWNER DIES? Yes. Any portion of the deferral can be paid at any time by the taxpayer, the taxpayer’s spouse, or, if the taxpayer does not object, by other qualifying relatives, heirs, or parties that have a legal or equitable interest in the property. Contact the County Treasurer for the exact settlement amount. Payments must be submitted to the County Treasurer’s office. 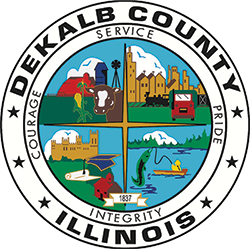 Contact the treasurer@dekalbcounty.org or by phone at 815-895-7112 if you have any questions regarding the deferral program or need help completing an application form. The annual filing period for this program is January 1 through March 1. Completed applications must be received by March 1 each year.